Brooklyn Rae Silzer and Kimberly McCullough Headed Back to GH? Frank Valentini, Brooklyn Rae Silzer, and Kimberly McCullough of General Hospital. 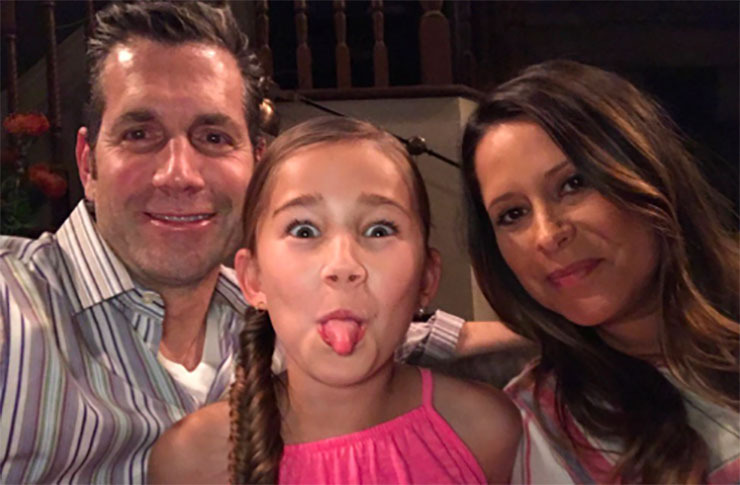 A Tweet by General Hospital Executive Producer, Frank Valentini, alongside fan faves Brooklyn Rae Silzer and Kimberly McCullough, intrigued and excited us! Valentini took to Twitter to post a pic of himself, Silzer (Emma Drake), and McCullough (Robin Scorpio Drake) goofing around on what looks like the GH set. His hashtags included #GH and #Wrappizza. We’re assuming the second one refers to a pizza shared by members of a film or television cast/crew after wrapping taping. See his Tweet below. Now, GH confirmed that the Nurse’s Ball will be making its annual return in May, much to the glee of the event’s many fans, like all of us here at Soap Cities. Is that why Emma and Robin might be returning to Port Charles? The Nurse’s Ball always includes an inspiring speech by Robin, as Michael Fairman pointed out. And she was part of the inspiration for the very first Nurse’s Ball, after all. Of course, what would a Nurse’s Ball be without a super-adorable performance by Silzer? Alternately, could Emma and Robin be coming back to Port Charles for another reason. After all, Anna (Finola Hughes) is still dealing with her rare cancer, polycythemia vera, and missing vital phlebotomy appointments. Rumor on the Port Charles street has it that Anna, since she returned from her trip a few weeks ago, is really Anna’s long lost twin, Alex! Could that be why she missed her phlebotomy appointment and hastily scheduled another one Tuesday? We can’t wait to see what Silzer and McCullough are up to on GH! Can you, dear Soap Cities readers? Previous ArticlePanos Vlahos Set to Appear on Days of Our Lives–Greek Intrigue to Come? Next Article Days of Our Lives Spoilers, Thursday, April 27th: Nicole and Brady in Major Danger!